What’s the power of the Relator talent theme? The genius of your Relator StrengthsFinder theme is found in the fact that you can form relationships with virtually anyone. While you prefer relationships that are real and genuine, you have the capacity to form relationships with almost anyone. You can form relationships with people older, younger, or the same age as yourself. You can form relationships with people who have more, less, or the same status as yourself. You can also form relationships at different levels of closeness or intimacy. For example, you have at least four levels of relationships. At the fourth level, you have lots of acquaintances. On the third level are a group of relationships that are closer. On the second level, you have a group of friends. But you also have an even closer group of people, people in your “tight group.” While there are usually six or less in your tight group and many or few in the other three groups, the genius of your Relator strength is your ability to form relationships on these multiple levels of intimacy. How do I grow the Relator talent theme? 1. Capitalize on 1-to-1 time. For a Relator, 1-to-1 time is when his or her emotional tank is topped up. This safe environment is critical for Relators to open up and have deep, meaningful conversations. 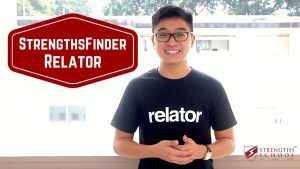 This is also how the relationship progresses naturally for a Relator: the more 1-to-1 time a Relator has with his or her family members, colleagues, or friends, the more productive a Relator becomes. A deep desire to hang out or to do things together with these close friends means that lunch and dinner schedules are often filled with these meet-ups. Managers with Relator as a dominant StrengthsFinder theme can become more productive with regular 1-to-1 meetings with team members. In these settings, transparent and honest conversations can take place, and trust deepens. Mature Relators lead teams based on mutual trust and transparency. The manager becomes more than a boss to the team: he is a trusted aide and friend. 2. Learn the skills to build and protect the trust in your relationships. 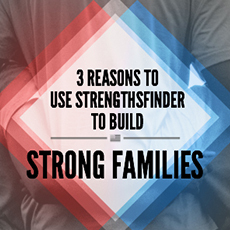 Individuals with the Relator StrengthsFinder theme thrive on having the confidence of others, as that’s an indication that the relationship has a certain level of depth and safety. But just because they thrive on this doesn’t necessarily mean they automatically know how to build and protect this greater level of trust. Thus, a good growth journey for a Relator is in learning the crucial skills to deepen and guard the intimacy in their relationships. John Townsend and Henry Cloud’s teachings on Boundaries, Beyond Boundaries, and Safe People would be excellent resources for those with the Relator talent theme. I also find the VitalSmarts blog, Crucial Skills, an excellent resource to subscribe to in learning how to have authentic and honest conversations with the vital people in your life. 3. Learn the love languages of others. Similar to the previous point, knowing just how to build a deep relationship with people they feel a genuine connection to is important to a Relator. One of the ways they can learn to do so is by discovering how the people they care about receive love. Gary Chapman’s book, The Five Love Languages, provides a starting point for Relators to do so. To give a brief summary, different people receive love through different languages. Some receive love through hugs and affectionate touches. Others receive love through words of affirmation. And yet others receive love through gifts, spending quality time together, or having someone voluntarily do something for them. As one of my favorite authors puts it, understanding how others around you receive love is as important as knowing what type of fuel to put in your tank. If your car requires high-octane fuel to run, it does not help at all to fill the tank with diesel! How could this theme be overplayed? In a room full of people, Relators are drawn to those they already know, and tend to spend the bulk of their time deepening these existing relationships. This inclination also carries over to their workplaces and various other spheres of influence. But because Relators are drawn to people they already know rather than opening themselves up to new connections, it also means that the overextension of the Relator talent theme is that they sometimes appear aloof, unfriendly, and unwilling to get to know new people. Communicate the motivations behind your seeming exclusivity. As a Relator, I believe in creating a safe space for people to share the more vulnerable aspects of themselves. Through such intimate conversations, relationships can grow deeper. However, this also means that I tend to want to keep group gatherings with friends smaller so that people feel safer to open up. It is not that I want to exclude others from the community; it is simply that I want to protect and build the existing connections within the group. That said, without communicating my intentions, people can misunderstand me as “unfriendly” or “cliquish.” One way I’ve learned to manage this is to communicate my intentions behind keeping group gatherings small. Take initiative in getting to know newcomers on a 1-to-1 basis. Relators thrive in smaller, more intimate environments. To mitigate the effect of possibly being “closed off” or “unfriendly” to strangers, an individual with the Relator talent theme can make it a point to get to know new people in a 1-on-1 setting. Because of the way they are wired, this smaller and more private setting would be much more conducive for building depth in the relationship compared to a larger group. Become a role model for others in creating a safe place to nurture deeper relationships. 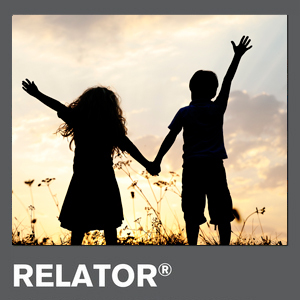 Relators lead with authenticity, sincerity, and vulnerability. Because of their high value for genuine relationships, Relators are not afraid to disclose more private aspects of their lives to those around them, desiring that this vulnerability would be reciprocated as well. As a Relator, I make it a point to be open about my life with my friends and the colleagues I’m closer to, and I intentionally invest time in getting to know what’s going on in their lives as well. This vulnerability on my part builds trust and safety within my core communities and my workplace — and for the latter, grows the cohesiveness and productivity of the team as a whole. 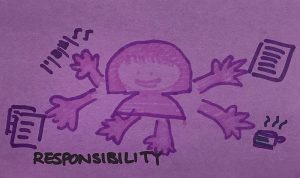 Concluding Thoughts: Relators greatly appreciate sincerity and vulnerability. Because of their core need to form deep, lasting relationships, Relators thrive in environments that are open and honest rather than strewn with red tape and hierarchical relationships. Understanding this, an individual with Relator in his or her dominant talent themes can actively seek out environments or people with the same value for genuine connections. Similarly, leaders with a Relator on their team can develop the Relator by investing in 1-to-1 conversations with the individual, making an effort to lead with transparency and authenticity during these conversations. The Relator will appreciate such frank conversations, and their level of engagement, commitment to the team, and productivity will grow as a result! Copyright © 2000, 2012 Gallup, Inc. All rights reserved. Gallup®, CliftonStrengths®, StrengthsFinder®, and each of the 34 StrengthsFinder talent themes are trademarks of Gallup, Inc.